Australia is home to five of the best thirty student cities in the world. This means that there are plenty of amazing places for you to live and study. 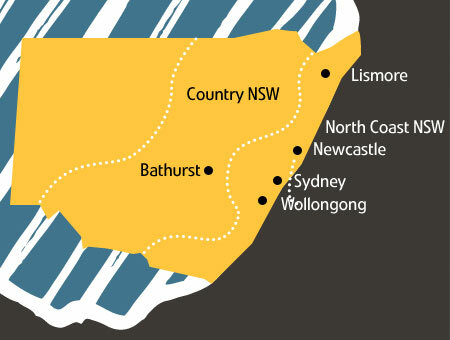 How should you choose which Australian location is right for you and your ambitions? The following information provides you with an overview of life in Australia, and will help determine where you should go for the best studying experience. Click the images below to find out more! Do you have a specific study area of interest? There is every chance Australia has you covered, with at least one Australian university in the top 50 worldwide across the study areas of Natural Sciences & Mathematics, Life & Agricultural Sciences, Clinical Medicine & Pharmacy and Physics. See yourself studying in Canberra – Australia’s education capital. Canberra is a modern, safe, friendly and multi-cultural city. 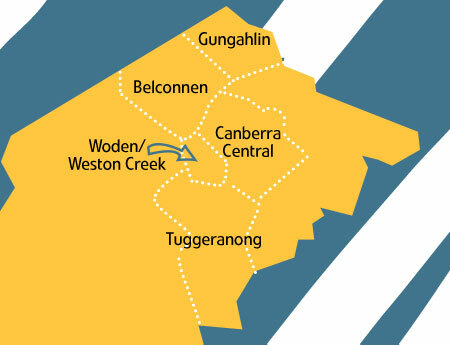 Canberra is Australia’s capital city. It is one of the cleanest and safest cities in the world with mild weather conditions and four distinct seasons. Canberra’s students consistently rate as some of the best educated in Australia and amongst the brightest in the world. Perfectly positioned to capitalise on all of Australia’s rich resources, New South Wales with its harbour capital, Sydney, is the international gateway to the Asia Pacific. NSW is home to world-class universities, vocational institutions and research organisations which deliver cutting edge, industry-relevant education that launches domestic and international students into careers of choice. Its education system offers a wide range of courses and degrees and enjoys a strong global reputation for internationally respected qualifications, high quality research and teaching, cultural diversity and a safe study environment. NSW’s universities and research sector are linked into leading global industry and research networks to develop world-class talent equipped with the knowledge and skills to be ‘work ready’ upon graduation. Successful graduates from Australian institutes are working at the highest levels in government and business all around the world. NSW has the largest research sector in Australia, a country ranked first in the Asia Pacific region for the quality of its research institutions. Australia’s Northern Territory has a culturally rich society with a diverse population of over 100 nationalities, stunning natural landscapes, a thriving economy, a relaxed lifestyle, and unique education and employment opportunities. 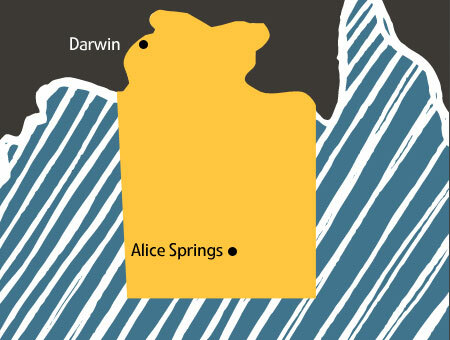 Tropical Darwin is Australia’s closest capital city to Asia. The Northern Territory is a warm and welcoming part of Australia, where people from many different lands have made a home. They are attracted by the thriving economy, stunning natural landscapes, relaxed lifestyle, culturally rich society and unique employment and education opportunities. Abundant natural resources and oil and gas reserves are positioning the Territory’s capital, Darwin, as Australia’s major gateway to Asia. Set on a beautiful harbour, Darwin offers a cosmopolitan way of life with modern amenities – and a friendliness that is sometimes hard to find in a bigger city. In Alice Springs, people enjoy the beauty of the Central Australian outback, contemporary facilities and proximity to world-class attractions such as Uluru-Kata Tjuta National Park (Ayers Rock and the Olgas). Why study in the Northern Territory? 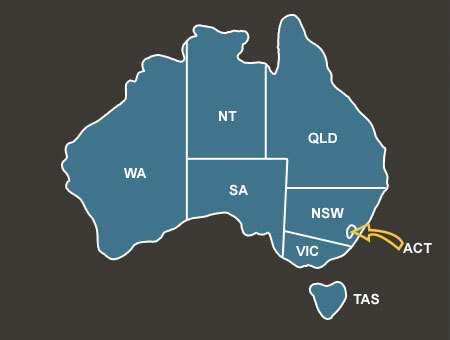 The Northern Territory has a wide range of high quality education and training institutions. These include government and private or independent high schools, vocational education and training providers, and Charles Darwin University for bachelor and masters degrees, and PhD qualifications as well as vocational education certificates and diplomas. Charles Darwin University is a member of the prestigious Australian Innovation Research Universities group and is ranked in the top 2% of world universities (Times Higher Education 2013-14). Students at Charles Darwin enjoy modern facilities and small class sizes and a supportive learning environment. The overall study experience is enriched by social and cultural opportunities that are unique to the Northern Territory. About 16% of Territorians were born overseas, and the Territory offers a diverse range of religious services and places of worship for residents and visitors of many faiths including Buddhist, Hindu, Muslim and Christian. The Northern Territory has the lowest unemployment rates in the country, with excellent part-time employment opportunities for students and exciting career prospects for graduates. A world-class education, spectacular beaches, metropolitan cities, breathtaking outback make it the perfect destination for a relaxed place to study, work and live. 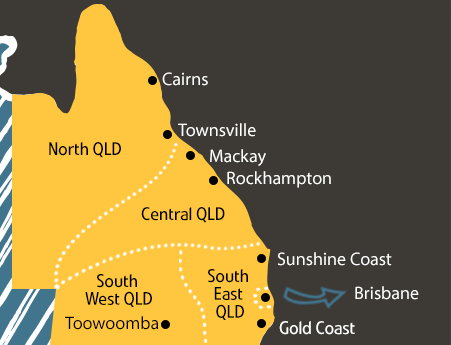 Queensland is the second largest state in Australia. Queensland is nearly five times the size of Japan. 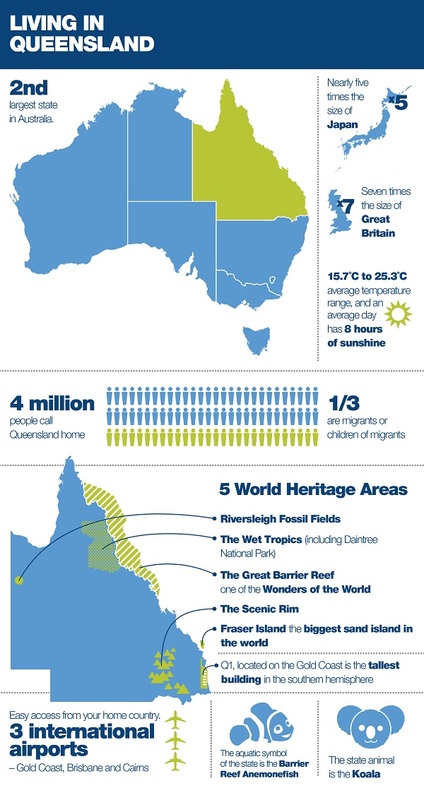 Queensland is seven times the size of Great Britain. The average temperature ranges between 15.7 degrees C to 25.3 degrees C and an average day has eight hours of sunshine. Four million people call Queensland home and one third are migrants or children of migrants. The Great Barrier Reef which is one of the Wonders of the World. Fraser Island which is the biggest sand island in the world. Q1 is located on the Gold Coast and is the tallest building in the southern hemisphere. Queensland has easy access from your home country with three international airports in Brisbane, Cairns and the Gold Coast. The aquatic symbol of Queensland is the Barrier Reef Anemonefish. Queensland’s state animal is the Koala. South Australia is internationally recognised as a centre for technology, research and innovation as well as offering diverse landscapes, good living and unspoilt natural environments. Adelaide is Australia’s premier learning city. It is Australia’s fifth largest city and the capital of South Australia. Tasmania offers a different kind of educational choice, with study and lifestyle options that provide a unique Australian experience. 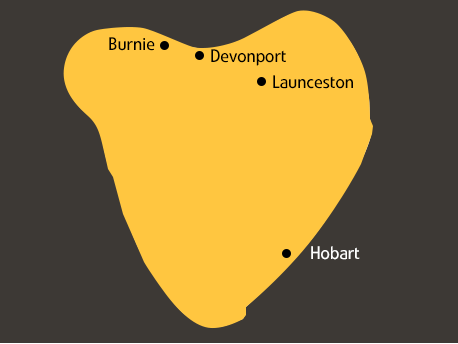 Tasmania is a modern, vibrant and unique place to live and study. Whether you’re seeking a University, TAFE, English Language or High School course, Tasmania is home to first-class education institutions – with qualifications that will take you across Australia and the whole world. Our region offers an affordable alternative for Australian education and is very easy to get around – there are no traffic jams and pollution for students travelling from their home to classes, restaurants and shops. By choosing Tasmania you will experience an Australian study destination with fewer international students than other Australian regions. This means that your English Language skills will improve quickly and you will have fantastic opportunities to meet local friends. Tasmanian is a safe and secure destination; our students walk freely in the evenings. 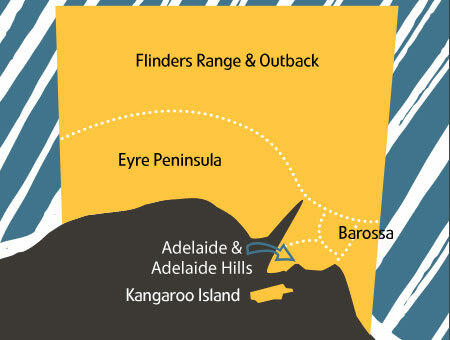 Travelling to Tasmania takes 50 minutes from Melbourne and 1.5 hours from Sydney by plane. There are 4 airline carriers flying to Tasmania with more than 10 flights each day, which makes Tasmania very accessible to students. Melbourne, Victoria is a global centre for excellence in education and training, offering students world class study opportunities. It boasts a concentration of quality education and research infrastructure that is unrivalled in the region. In 2012, QS ranked Melbourne as one of the world’s four leading student cities along with Paris, London and Boston. The criteria included quality of living, reputation of the city’s universities, the student mix, employer activity, and affordability. 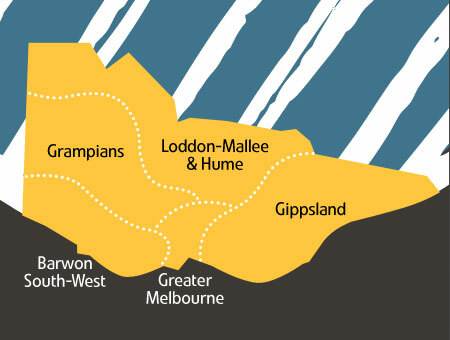 Victoria boasts a concentration of education and research infrastructure that is unrivalled in the region. Ten world-leading universities have cutting-edge facilities, academic staff with international experience, and outstanding student services. It has 5 of Australia’s top 20 universities, one of the world’s top 30, and 2 universities in the world’s top 100. High quality vocational education and training institutions offer industry relevant, practical training and skills development in close connections with industry that ensures graduates have the skills demanded by employers. VET and university institutions also work together to create credit pathways that increase entry and exit points for students and have the advantage of dual qualifications and smoother transition into higher education studies. Victorian universities and VET providers also dominate and lead the country in the delivery of educational services offshore and this is testament to the global recognition of the programs. The Victorian Government provides a unique International Student Care Service which makes it a leader in international student service provision. This service provides support, advice and assistance by multilingual professional staff on health, legal, employment and accommodation services. Magnificent Western Australia is Australia’s western gateway, its biggest export earner and largest state, boasting a pristine coastline of 12,500km. Why study in Western Australia? What comes to mind when thinking of the perfect place to study? It would be just about any student’s dream to study in a place that offers world-class education and a pathway to a successful career. Somewhere with excellent infrastructure, natural beauty, clean air, rivers and oceans. Famous for its friendly people and relaxed atmosphere, Perth embodies the true Australian lifestyle. There are not many places left in the world where a passer-by will warmly greet you on the street or stop to have a chat. Australians love to interact with overseas visitors and embrace other cultures. 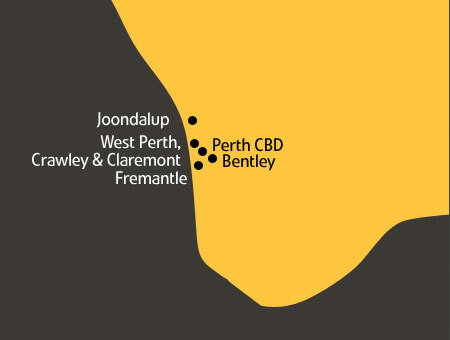 Perth is a city of growth, success and possibilities. Recent years have seen the benefits of our resources boom flow into every part of our lives, from education to transport, and tens of thousands of people have come to see the natural beauty of Western Australia and enjoy its year-round sunshine. The new international airport, along with the Perth Arena and expanding city rail network, riverside developments and beach-fronts are shaping Perth into Australia’s western gateway for tourism and investment. Research conducted in Perth is respected globally, reaching new horizons in medicine and health sciences, agriculture, chemistry, geology, metallurgy, engineering, astrophysics, renewable energy and environmental management. Our artists, musicians and actors are familiar to the world. Your study experience here will not only provide you with learning, but also the possibility to be part of the growing academic and professional network which will guide the future of our city.